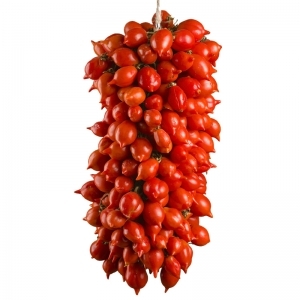 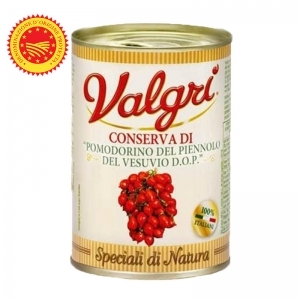 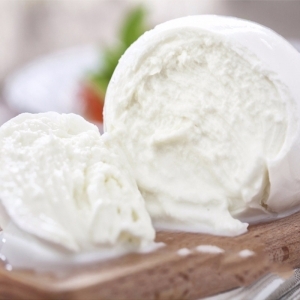 The Tomato Piennolo Vesuvius is cultivated with a traditional method, which involves the use of supports with wooden stakes and wire, which prevent the berries off the ground and ensure that they receive sunlight evenly. 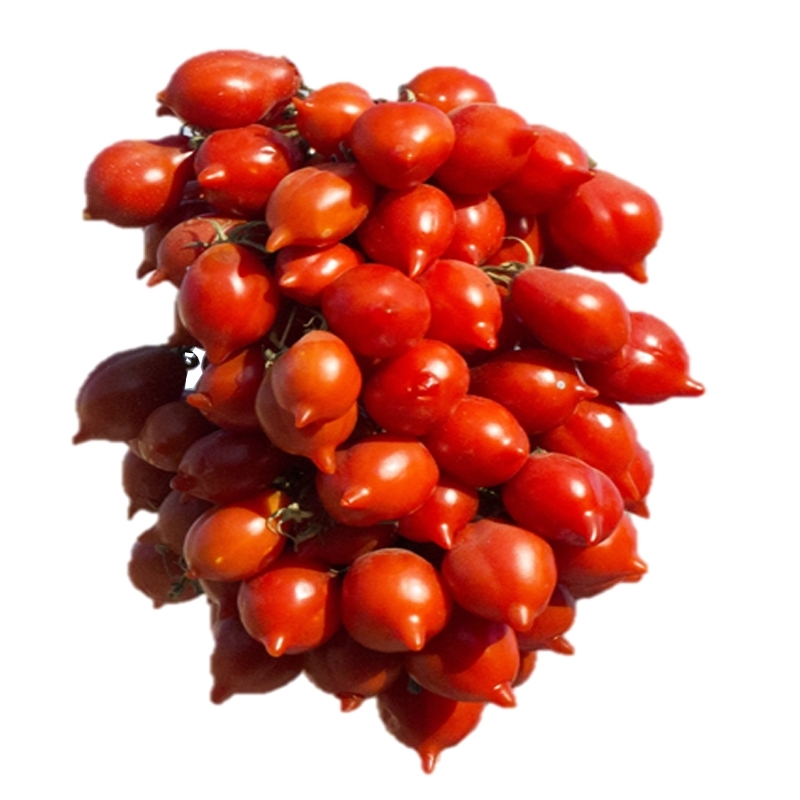 The tomatoes, weighing approximately 25-30 grams, are round and have a small lace at the lower end. 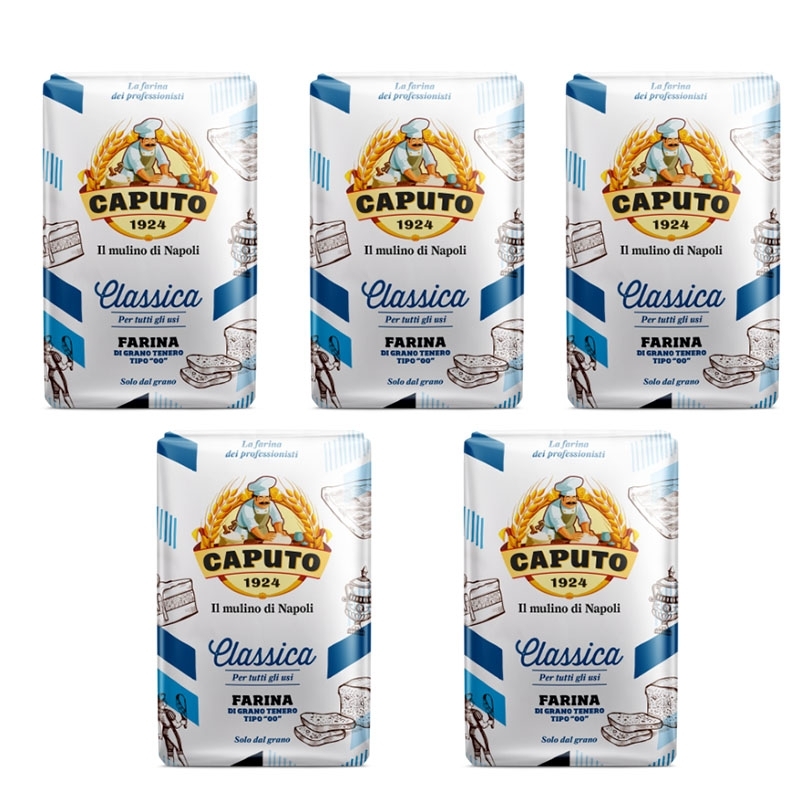 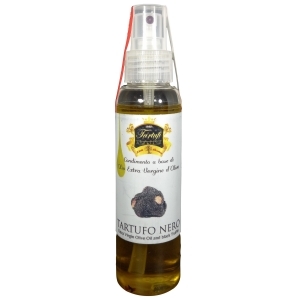 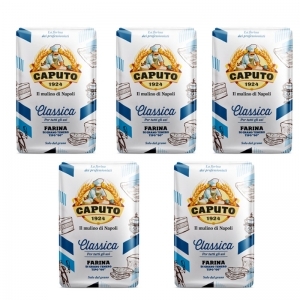 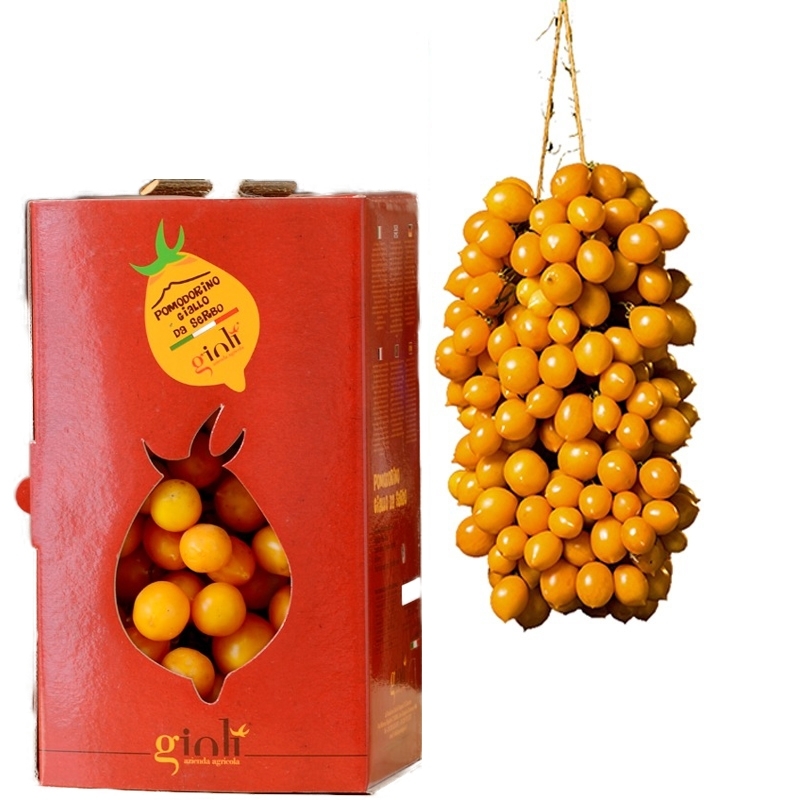 The skin is leathery and pulp, soda and compact, it has a distinctive sweet taste from the sour aftertaste, due to the concentration of sugars and minerals. 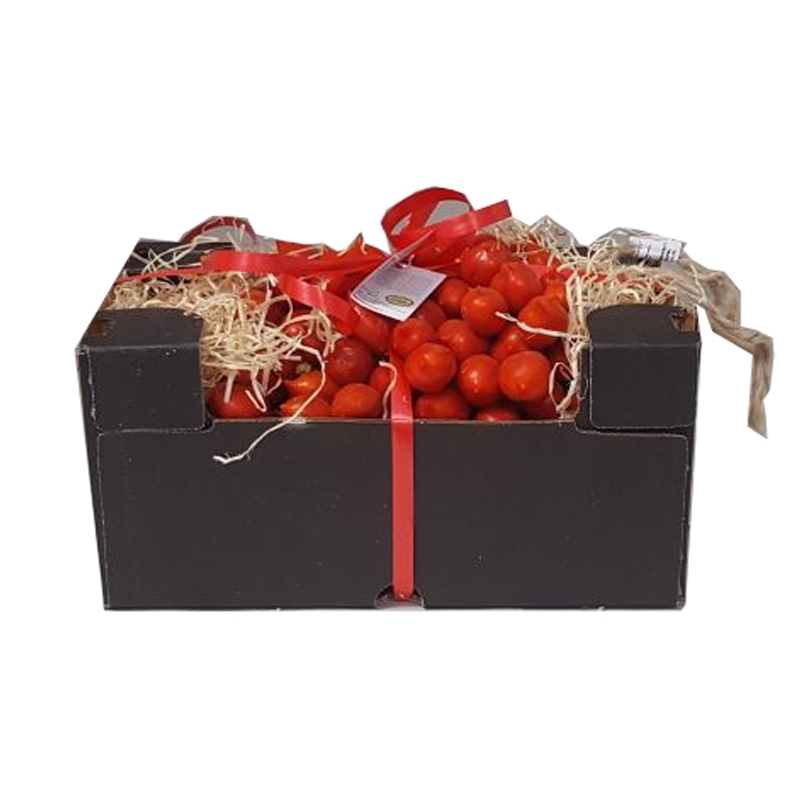 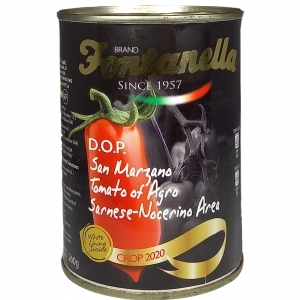 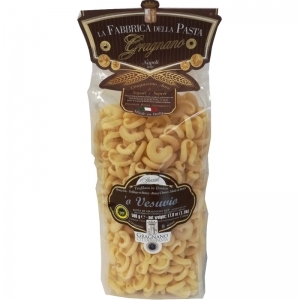 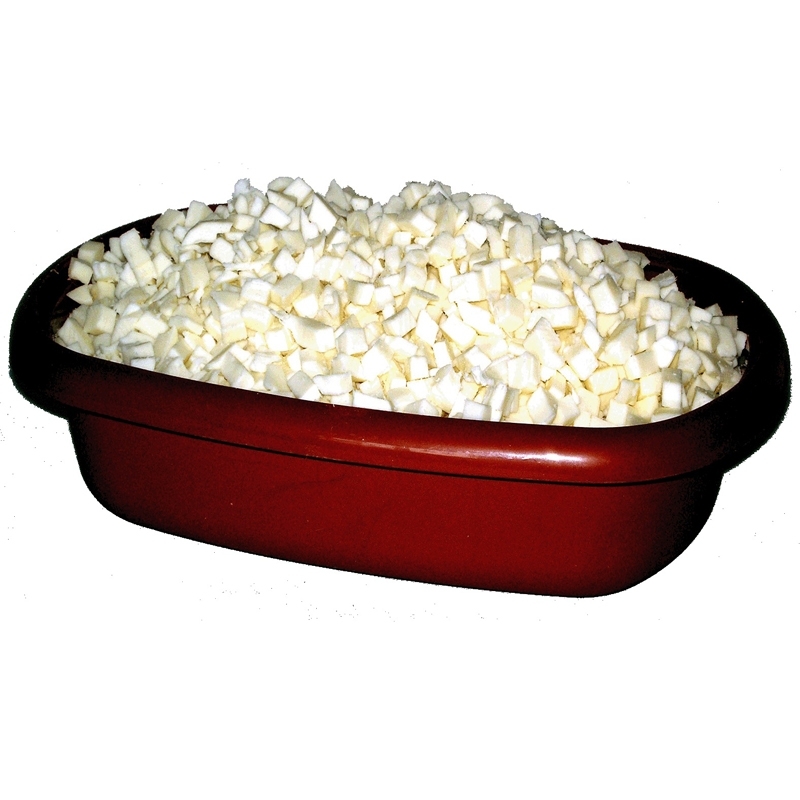 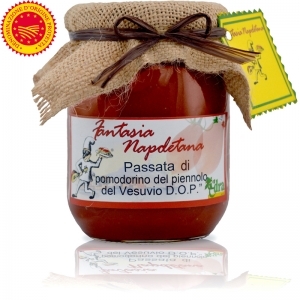 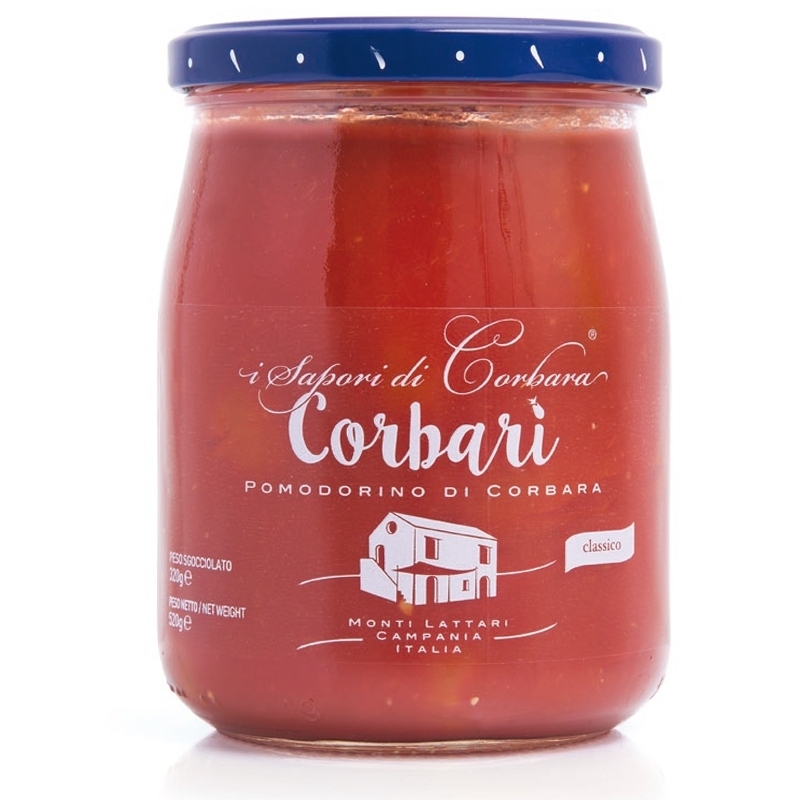 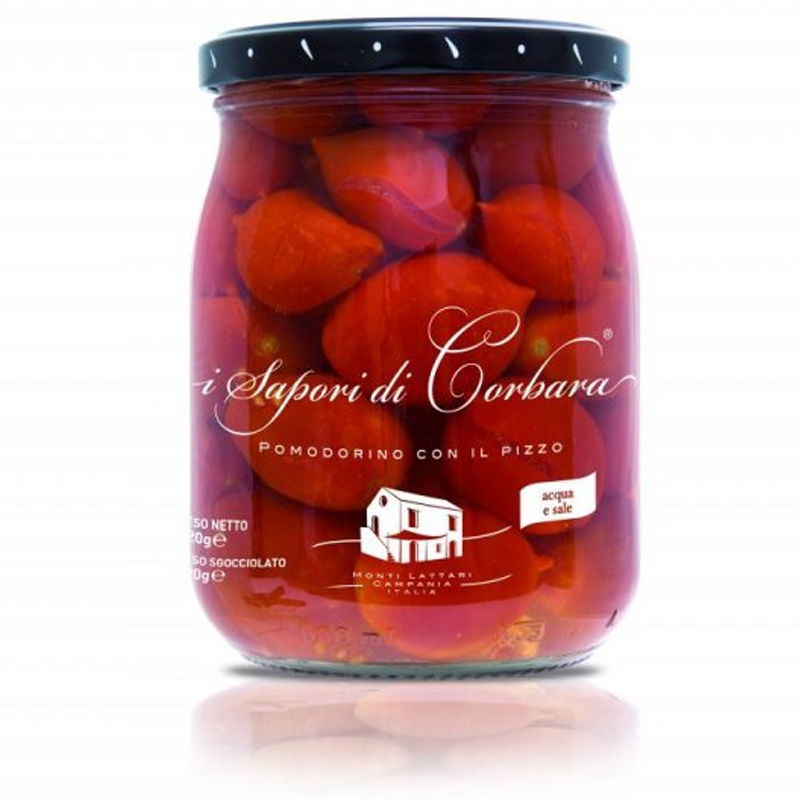 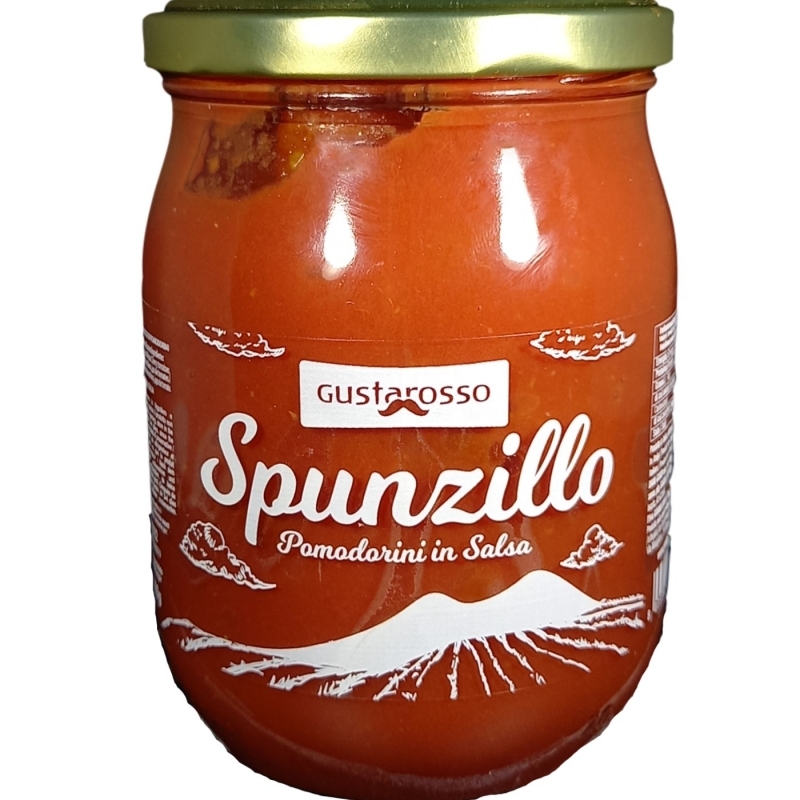 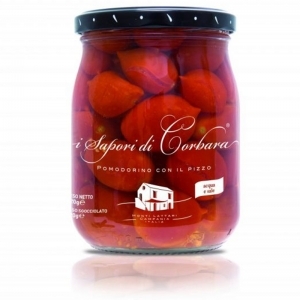 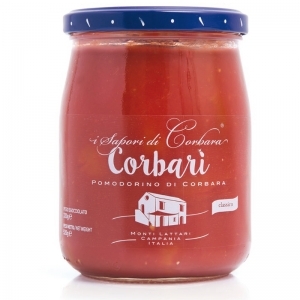 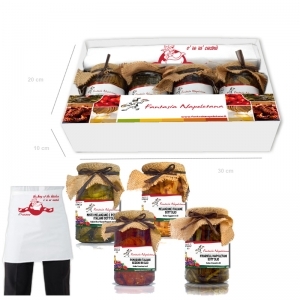 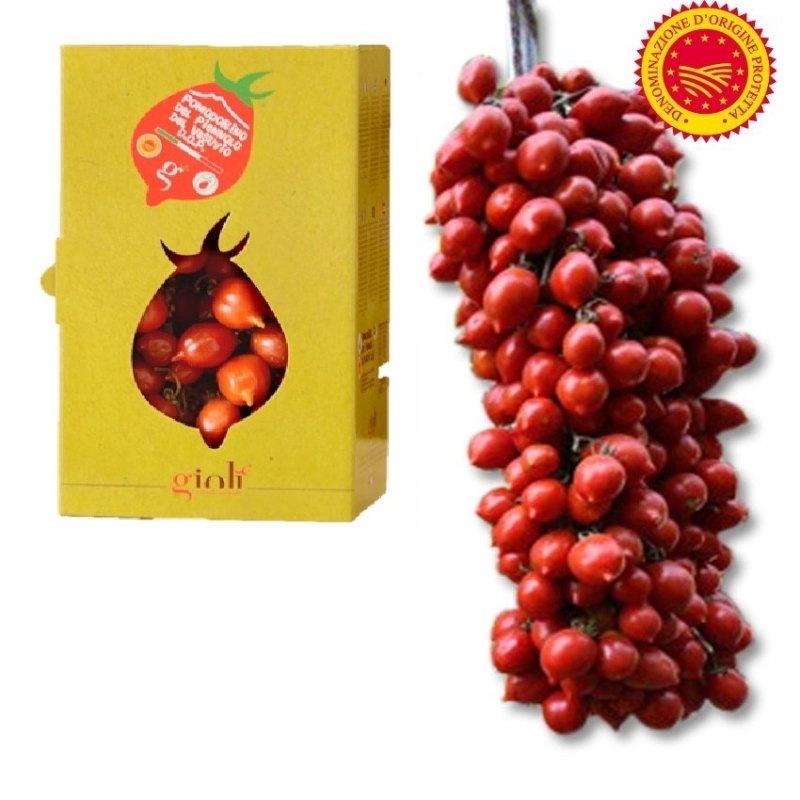 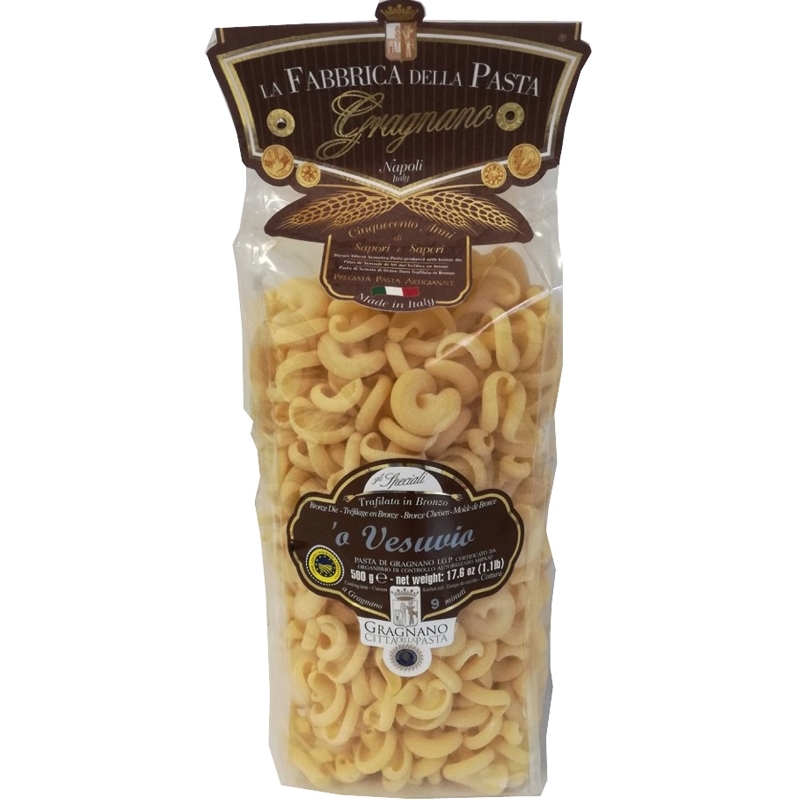 The Tomato Piennolo Vesuvius is presented in a new gift packaging. Tomato Piennolo Vesuvius in bunches from Kg. 1.5. you can hang and store a long time sent in a package UNIQUE AND SPECTACULAR.